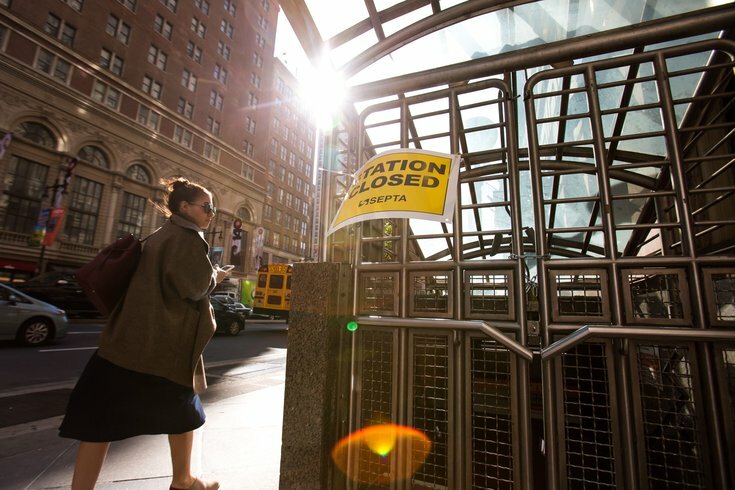 A 'Station Closed' sign, posted on the locked entrance to the Broad Street Subway station at Walnut Street, was a common sight in Center City on Tuesday, Nov. 1, 2016, due to a strike by SEPTA workers. They say comedy equals tragedy plus time, but what about tragedy plus distance? The ongoing SEPTA workers strike has produced headaches for commuters. Many have been forced to use bicycles, taxis and ridesharing services and — if the trek is reasonable — their own feet. Stanley wasn't the only one to get funky during the strike. West Philly rapper Damian "Dame Dollur" Hewitt published a song and subsequent music video about the strike using the backing track to Ja Rule's "Livin It Up." Hewitt told Ballin he made the song in about 15 minutes on Garageband and freestyled the lyrics.